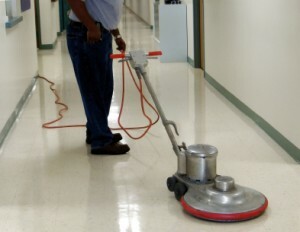 Floors - G & L Building Services, Inc.
Are your floors scuffed, scratched and burdened with traffic marks? Do they need to be revitalized and renewed? If this is your case, don’t worry – we can help. At G & L Building Services, Inc., we make floors shine. Whether you need an attentive mop, a deep scrub or an all out stripping and waxing of your floors, we can make it happen. You just let us know what you need – we will handle the rest. Floors come in all different shapes, textures and sizes. We are prepared to tackle any floor you may have with our cleaning products and equipment. By using only the best floor cleaning, stripping and waxing products, we can assure you that your specific needs will be met. With the floor cleaning services from G & L Building Services, Inc., you can rest knowing that your floors are in good hands. Do you need your floors cleaned? Be sure to contact us via our contact page in order to request a quote or more information about our services.